Price? Refer to the price list and get a discount. Common applications that benefit from a variable frequency drive include most fans and pumps, turbo compressors and material handling amongst others. The relatively small losses in the VFD are easily compensated for by the overall improvement of the application efficiency. 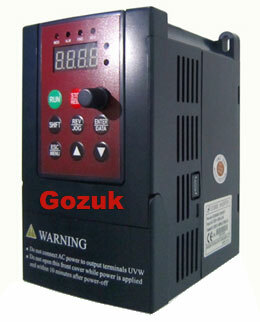 To recoup the capital cost of a typical 5HP variable frequency drive only a modest energy saving is required. Even with a 10% efficiency gain, the capital cost would be saved in only 1000 operating hours. Efficiency gains of between 20% and 70% are often possible by using a 5 HP VFD in fan and pump applications. Selection of VFDs should be considered as only a part of the overall gains to be made. It is important to consider efficiency of the overall system besides the cheap price, from the input of electrical energy to the useful output (air pressure, water flow rate etc). Maximizing the reduction in operating costs can only be achieved through careful system design to achieve maximum efficiency gains, e.g.